I've been waiting for this reply for a while. I've seen a few people who have gotten their responses in the last few weeks and I will admit I was a bit jealous. 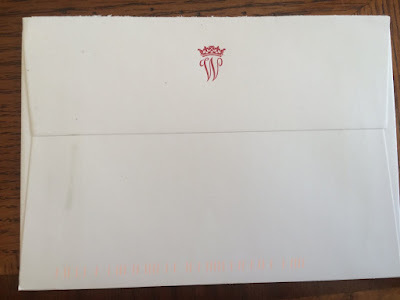 I immediately knew this was from the Cambridges, by Prince William's Wren Press Red Monogram on the back of the envelope. 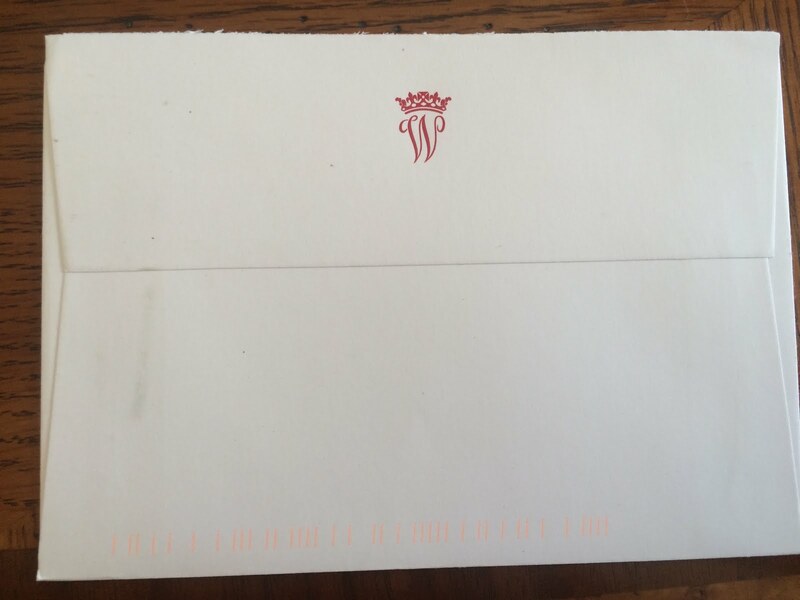 For British Royals when a couple does something jointly they use the monogram of the more senior royal. Other European Royals use joint monograms. 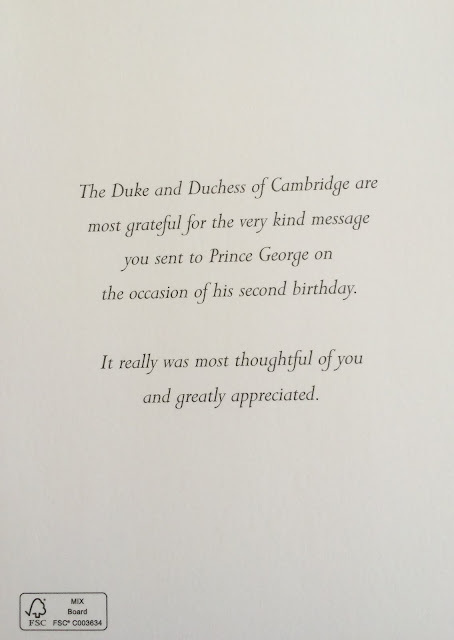 The response was of course for Prince George's 2nd birthday. It is the usual reply from the Cambridges: photo on the front and typed message on the back. 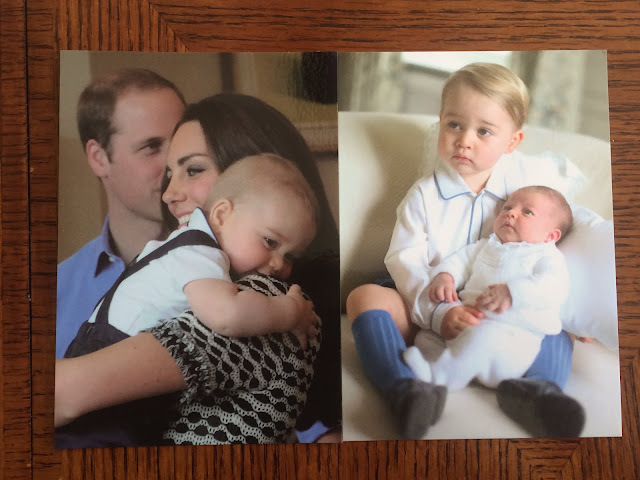 The one on the left is Prince George's 1st birthday reply and the one on the right his 2nd birthday. I personally like George's 1st birthday reply better, as it is a bit more smiley and I think shows a little bit more of George's personality.